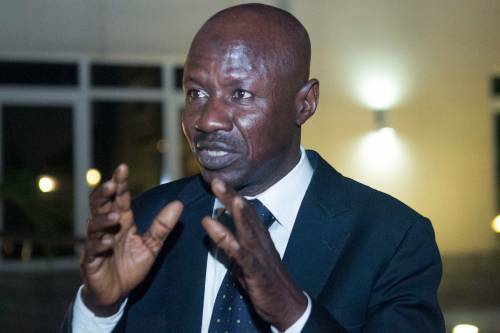 Ibrahim Magu, the acting chairman of the Economic and Financial Crimes Commission (EFCC), on Monday said at least N1.3 trillion was stolen between 2011 and 2015. 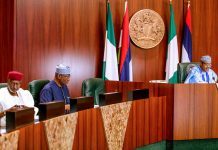 Magu said the money stolen under President Goodluck Jonathan administration was by 32 entities, including private individuals and organisations. 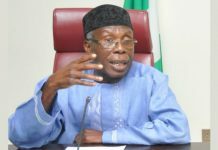 He said this during his keynote address at the 2019 first batch conversion graining programme to procurement cadre for federal parastatal and agencies organised by the Bureau of Public Procurement in Lagos on Monday. In the address delivered by Ola Olukoyede, EFCC secretary, Magu lamented what the stolen funds could have been used to achieve in Nigeria. He said: “N1.3 trillion was stolen between 2011 and 2015.the money stolen under President Goodluck Jonathan adminstration was by 32 entities, including private individuals and organisations. 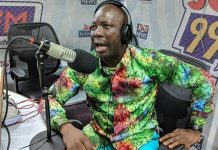 “One third of this money, using world bank rates and cost, could have comfortably been used to construct well over 500km of roads; build close to 200 schools; educate about 4000 children from primary to tertiary levels at N25million per child; build 20,000 units of two-bedroom houses across the country and do even more. “The cost of this grand theft, therefore, is that these roads, schools and houses will never be built and these children will never have access to quality education because a few rapacious individuals had cornered for themselves what would have helped secure the lives of the future generations, thereby depriving them of quality education and healthcare, among others. 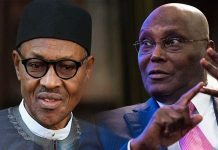 “poor state of procurement process in Nigeria was one of the major reasons why corruption has continued to thrive in government agencies and parastatals. “I sincerely hope that at the end of this training, we will see a few cases of financial propriety in our procurement processes in government agencies and parastatal.